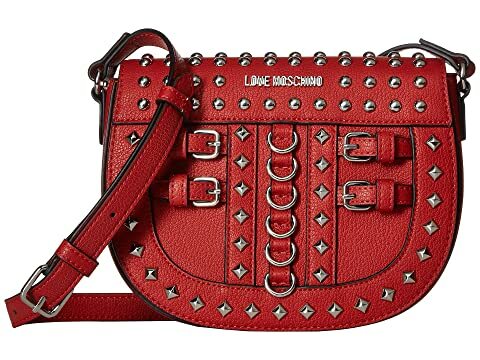 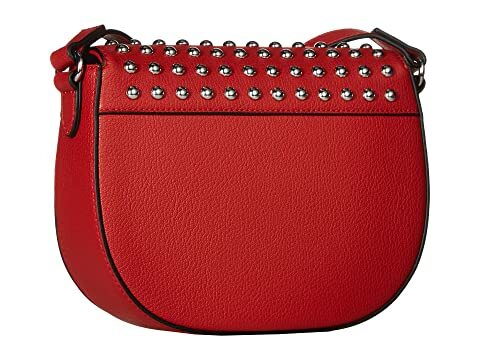 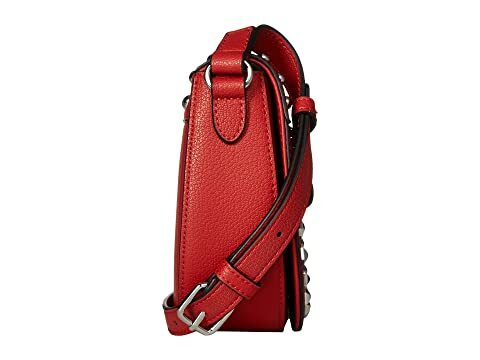 Embrace your rebellious side carrying the LOVE Moschino® Crossbody Bag with Belt Studs. 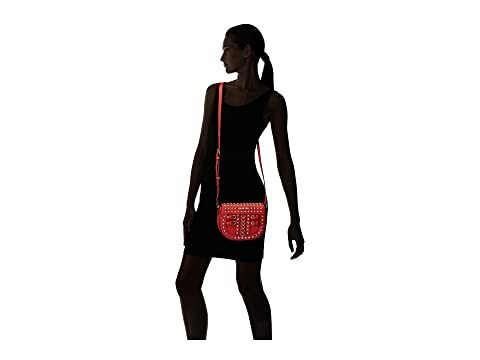 Shoulder bag made of man-made materials. 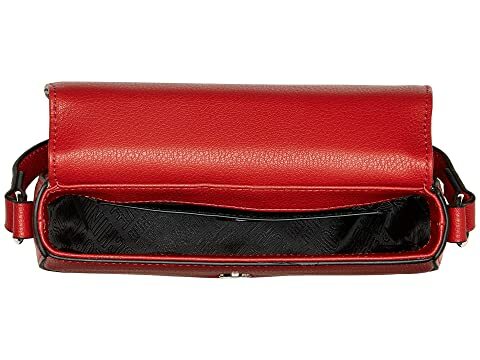 Fold-over flap with dual magnetic snap closures. 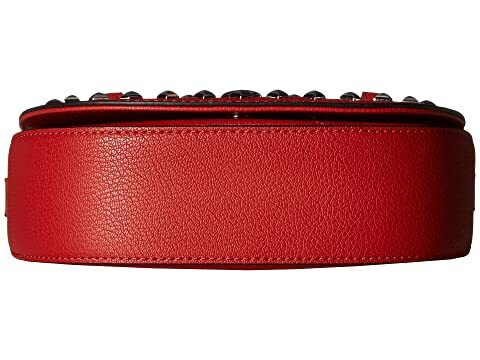 Belt and stud detail at front.